If you’re just beginning a medallion, you may already have a center block in mind. 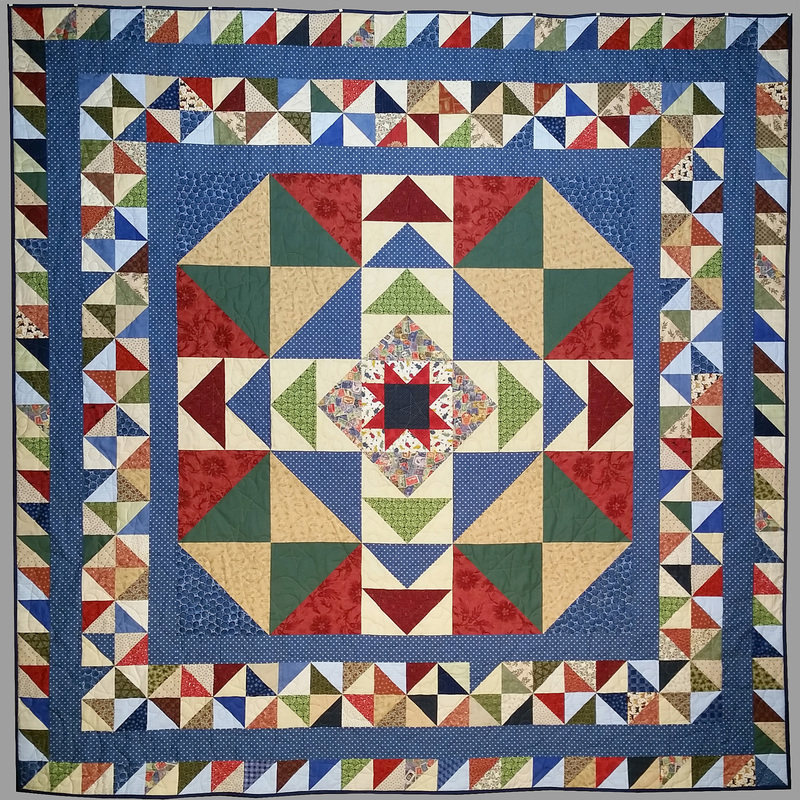 Perhaps there is an old traditional block you’ve always wanted to try, like a feathered star. Or maybe a modern log cabin setting has you excited. Did you receive a beautiful block in a swap but not figured out how to use it? 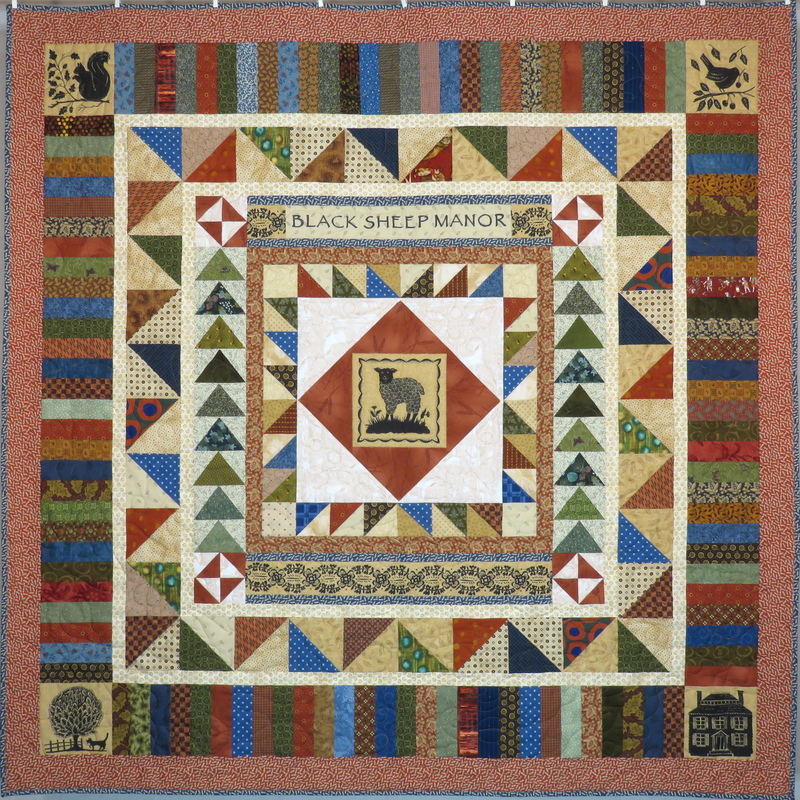 If you’d like some other ideas, see my post A Center Block for a Medallion Quilt. Here are a few considerations as you begin. First, the center is the focal point of the quilt. It does not need to be spectacular to serve that purpose, but it does need to be eye-catching. Many of my centers are fairly ordinary blocks such as variable stars, Ohio stars, or churndash variations. Bold is more important than fancy. Second, the block should be sized appropriately for your goal. In general, you may want the center to be a quarter to half the width of the finished quilt. If it isn’t, there are ways to enlarge it while retaining the flavor of the block. I discussed size in Lessons: Starting a Medallion Quilt and in Proportion, Part 1. Third, it’s very helpful if the block has good variations in color and/or value. I once made a block that had three main colors, teal, salmon, and red. All three had small prints with colors that were hard to pick out. All three were similar value. It was very difficult to find ways to expand the range and make it interesting. Sparkle. 48″ square. Finished January 2014. The shapes are important not just for how interesting the center is. The shapes also play into the fifth factor. Is the center block enclosed or expansive? Lines that direct the eye outward tend to make the block expansive. Diagonal lines tend to do this but aren’t the only way. Triangles and star shapes often create natural movement outward. In the block above, other than the salmon squares, there is no line that directs the eye beyond the block itself, and they don’t do a very good job of it. I would call that block enclosed. I Found the Housework Fairy But She’s Not Coming Back. 35″ square. June 2015. Photo by Jim Ruebush. In the Fairy, the center block is enclosed. Though we can imagine the scene extends beyond the frame, we really are called to look inward to the fairy herself, not outward. 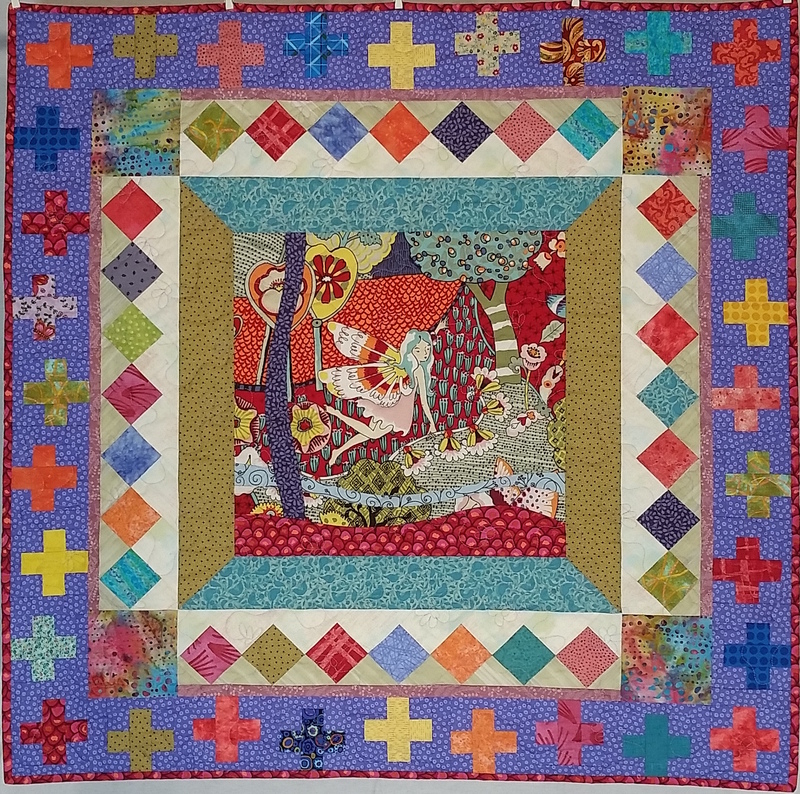 In the Big Block Quilt, the center is expansive. The outward-pointing flying geese, set in slightly paler gold for emphasis, literally radiate from the center. Neither one is better ultimately. It is just a design aspect to understand for how it fits into your whole quilt. If your center is expansive, at some point you may need to contain it, as the first broad strip border does for the Big Block. If your center is enclosed, you might want to find a way to direct attention outward and provide some sense of movement. In Sparkle, above, the borders including the large red triangles serve that purpose. The top one is more neutral than either expansive or enclosed. Though the brown triangles of this churndash block provide some visual movement, it is largely stopped by the blue and gold print at the center edges. Once it is turned on point, the strong blue diagonal lines push the eye to the outer edges of the block, where the brown unpieced border stops it again. This example has fancy corners added, but there’s no need to do extra piecing in the setting corners. See my post on when to set your block on point. Finally, the examples here all show square centers. While they are easier, perhaps, there is no reason not to use a non-square rectangle. 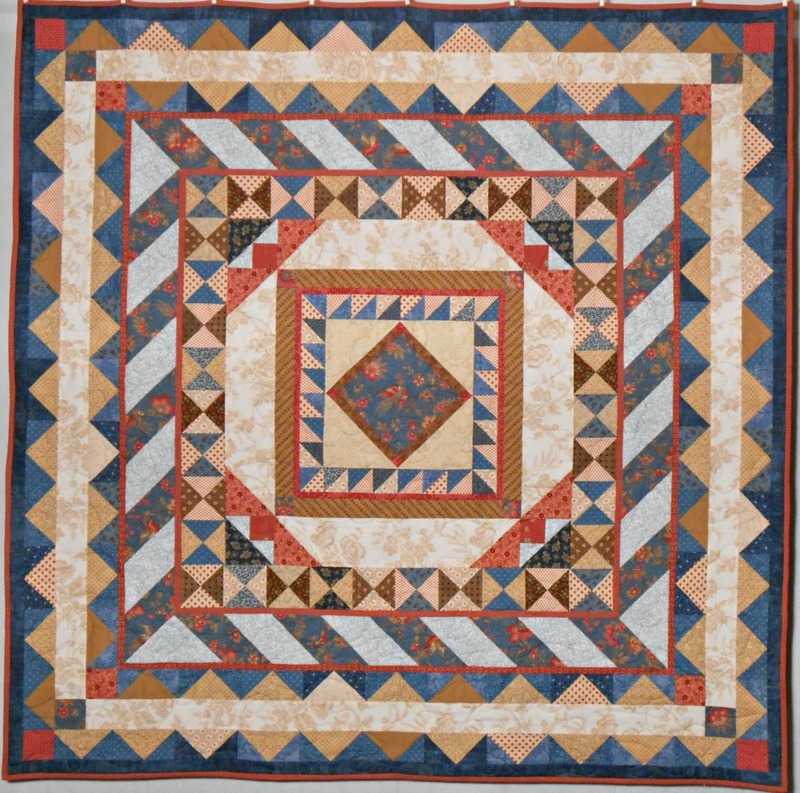 Some of my favorite quilts have non-square centers. All of this makes it sound like choosing a center block is very complex. In fact it’s not. How should you choose a center block? Just pick something fun, or beautiful, or the right colors, or sentimental. As you saw with my weird/ugly/disastrous block above, there is no wrong block. They all can work. Next comes borders. They all support the center and each other, but first borders have a little different role than last borders. And look for more Medallion Lessons here. 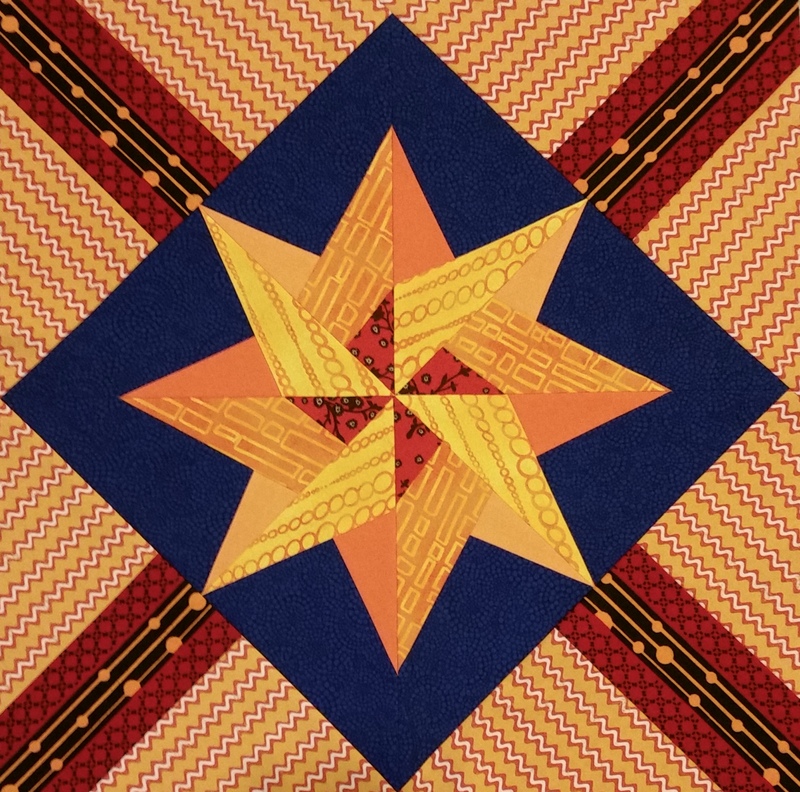 This entry was posted in Medallion Lessons, Medallion Quilts, Quilting and tagged Center block, Color, Line, Movement, on, On point, Power, Process, Shape, Value on May 11, 2016 by Melanie McNeil. I am a word nerd. When words have very specific meanings and are not used correctly, or are used ambiguously, I react. For example, a rectangle is a four-sided shape with all four interior angles measuring 90°. In other words, with all four corners as right angles. Opposite sides are parallel and the same length. A square is a special type of rectangle. The difference is that squares have all four sides the same length. The problem occurs in using the word “rectangle” to mean “non-square rectangle.” Rectangles include squares. So to be accurate, I would always need to amend it by saying “non-square rectangles” if I mean “non-square rectangles.” Correct, but awkward, huh? This entry was posted in Medallion Lessons, Quilting and tagged Meanings, Rectangle, Shape, Square, Words on May 10, 2016 by Melanie McNeil. Recently I mentioned I’ll be giving away a few quilts. I sent off two on Friday, and yesterday (Saturday) the first one arrived for its new owner! In July and August I had a few quilts displayed in a local quilt shop. One day my friend BJ met me there to take a look, and to enjoy some time together. BJ and I met 18 years ago (MY GOODNESS!) at the bank where we both worked. We worked closely for several years prior to her retirement, and we’ve remained friends since then. 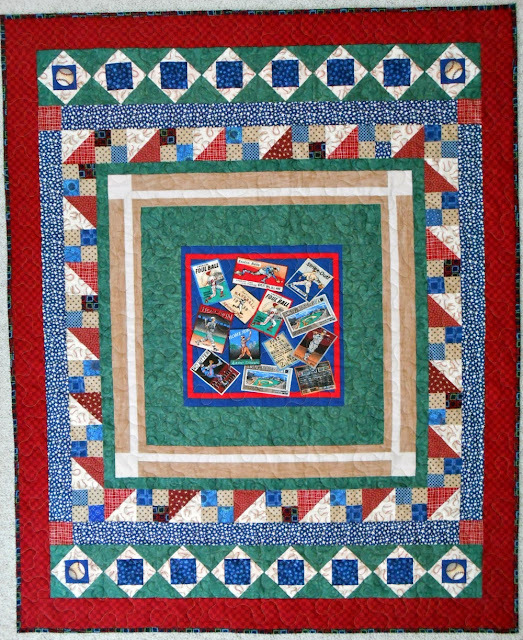 BJ is a sports fan, and while there were a couple of the quilts she especially liked, I thought this one suited her well. It is named Play Ball! 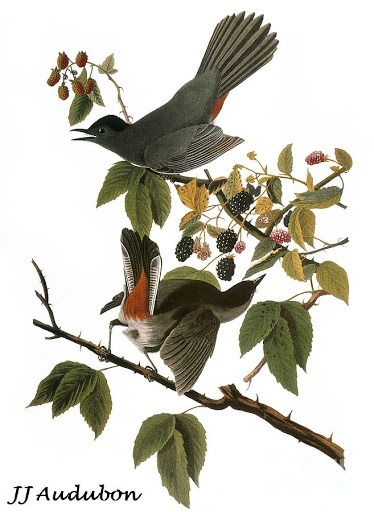 and is 46″ x 56″. This fun little quilt started from a pillow panel. Several years ago, on my first excursion into our local Mennonite thrift shop, I found two square pillow covers. 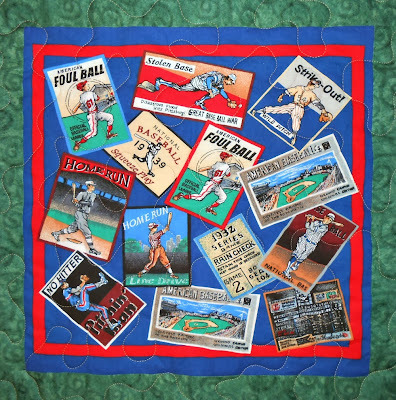 With their vintage baseball theme and strong blues, reds, and greens, likely they were used in a boy’s bedroom. Besides the square(ish) panels on the front, the envelope closures on the back were lined with small baseballs on navy blue. I used one panel to inspire a baby quilt for my youngest grandchild. (He is going on 5 now, so not a baby anymore.) It uses the Burgoyne Surrounded block on the front and the pillow panel to center the back. But I still had one panel left. With a nice range of color and value, I continued the baseball and All-American theme. The dark green tone-on-tone framed the panel to represent the grass of the infield, and then I mimicked the baseline and bases in the corners with cream and tan. Spark and movement comes from the simple border of 4-patches and half-square triangles. The busy stars print frames all that, followed by borders only on top and bottom to elongate the quilt. 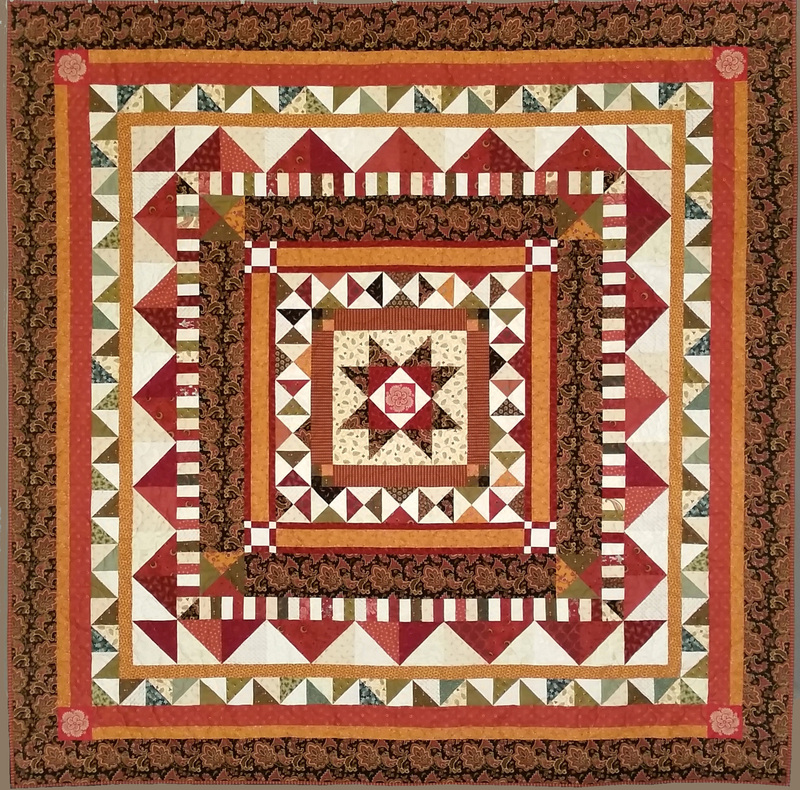 This border uses the “economy” block, or square-in-a-square, described in this tutorial. I was able to use four of the fussy-cut baseballs for the corner blocks. Finally I framed the whole thing with red. This gives a balance between the red, navy, and green in the center panel. I enjoyed making this quilt. I have a feeling BJ will enjoy watching her baseball playoff games and quite a lot of football snuggled under this lap quilt. This entry was posted in Creativity, Quilts and tagged Center block, Center medallion, Color, Design, Design-As-You-Go, Diamond-in-a-square, Economy block, Friends, Friendship, Medallion quilts, Original design, Pillow panel, Quilt block, Quilt borders, Shape, Square-in-a-square, Stash on October 4, 2015 by Melanie McNeil.